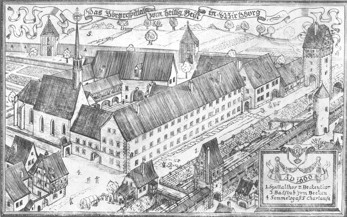 The birthplace of the estate started with the endowment of a noble pair of Würzburg citizens in 1316. Johannes and Mergadis von Steren built an old people's home at the gates of the old city for nursing "Christians suffering from affliction" and taking care of the hungry and the poor. The first vineyards, which were planted in 1321 served to supply the endowment's own needs. In 1598, the residents of the old people's home were provided with a tankard - 1.22 litres - of wine. If the residents behaved in an unruly manner, water was mixed with the wine as a punishment. If such behaviour went too far, the wine ration was cancelled - a draconian warning! Soon, Bürgerspital was financing its charitable enterprises from the wine proceeds and estate stewardship. Today 750 senior citizens live in the eight Bürgerspital residential and nursing homes, being managed, nursed, taken care of and medically treated by skilled staff. Authoritarian severity is now fortunately a thing of the past. With a wine-growing area of 120 hectares, Bürgerspital wine estate, at home in a fantastically beautiful courtyard right in the middle of Würzburg, is one of the largest wine estates in Germany and one of the most important. A combination of the estate’s proud tradition, the wonderful vineyards in their splendid locations, the fecund nature of the soil and the climate make up very fine unique quality wines. The slopes and steep sites of the hills along the River Main offer ideal conditions for growing wine. The sun warms the vineyards quite early in the year, and the Shelly limestone soil (Muschelkalk) stores the warmth well. 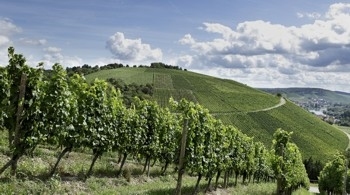 Almost 80 hectars of these vineyards are located within Würzburg's boundaries. Most of the vineyards are 50 or 60 per cent steep. The Würzburger Stein is the best known vineyard here and the first Silvaner grapes were planted in 1665. The location, the soil, the climate, the proximity to the river, and the art and passion of the Bürgerspital wine-growers enable exceptional wines to be grown here like the 1540er Steinwein, which is still in our cellars today. Long-matured, carefully nurtured and hand-picked, the grapes arrive at the winery in autumn. Here, they are gently and deftly processed, but it is in the cellar where the quality is formed and preserved. In Bürgerspital's old "Pfründner" cellar, there are modern stainless-steel tanks where the wines ferment temperature-controlled. 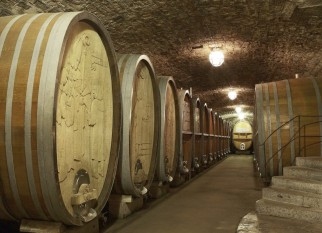 In the adjacent vaults is one of Germany's biggest wooden barrel cellars: 200 valuable oak barrels, some of them adorned with precious carvings were used for cultivating wine hundreds of years ago. There is space for four annual harvests in the cellars. No wine is bottled before its time, because it is a natural product and needs time to develop and age. The winemaker observes samples and tests all the way assuring that Bürgerspital’s wines of all qualities get the highest international recognition. Master Johann Baptist Sartorius explained in 1862 what a "Bocksbeutel" is: namely "a flattened, round bottle shaped like a leather pouch for bottling the Stein wine". 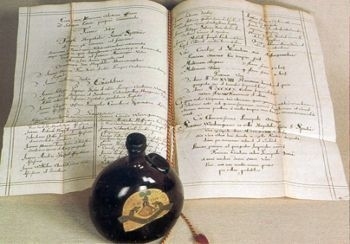 In 1726 the Council of the City of Würzburg decided that the "Bocksbeutel" be the mark of quality compared with poorly produced wines. 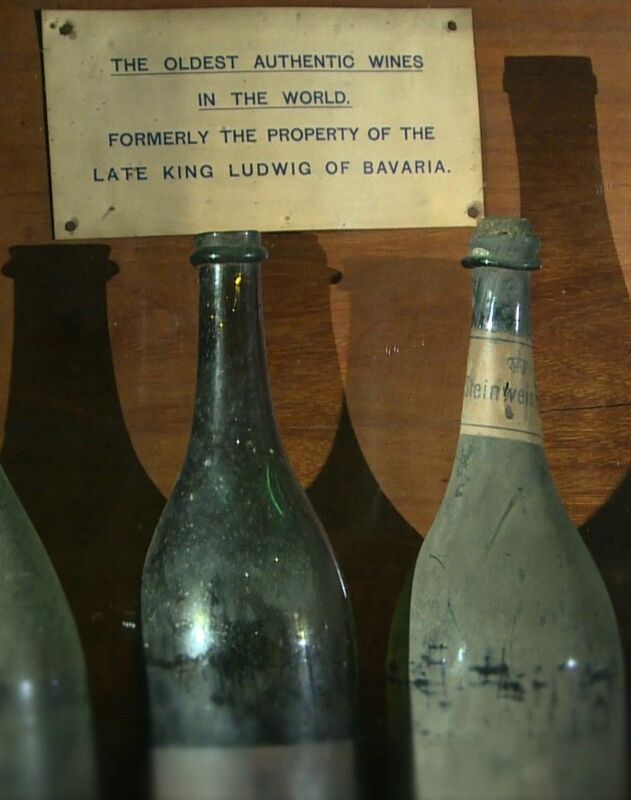 At the "Council's behest, the first sealed specimens of the Bocksbeutel are stored in Bürgerspital's cellars and the true, the pure, unadulterated wine, rapidly and brilliantly triumphed", reported the District Archivist Sebastian Göbl. Bürgerspital has been totally committed to the Bocksbeutel's claim to quality right up to the present day.